Dwight Jones: member of the 1972 Olympic Basketball team passed away this past July 22 due to heart ailment. 44 years ago. The ejection on Dwight Jones cost the '72 US Olympic Basketball a gold following the controversial call after the referee added 2 seconds. IOC: COULD YOU JUST PLEASE AUCTION OR MELT THOSE MEDALS. THE HATCHET WILL NOT BE BURIED. Last edited by Placid on Mon Aug 29, 2016 7:09 pm, edited 1 time in total. I meant Star Wars' celebrated droid R2-D2. Passing away last night is actor Fyvush Finkel who was well known in the TV series Picket Fences, and Boston Public as well as the bellhop in the movie "For Love or Money" alongside Michael J. Fox. Steven Hill (Born Solomon Krakowsky) - 1 of the most decorated actors in later life on both TV and big screen, has passed away on Tuesday. Hill will be well known during Mission: Impossible 1st season. But his religious beliefs kept him away from the screen and was replaced by Peter Graves. He yielded his acting career and took a variety of jobs between 1967 thru 1977. In 1980, Hill returned to acting and appeared in 16 feature film including "Yentl", "Brighton Beach Memoirs", "Running on Empty" and "The Firm". Hiil then returned to TV as the popular DA Adam Schiff in the hit series "Law and Order"
The Pro Wrestling world is in mourning once again following the passing of Harry Fujiwara. Better known as Mr. Fuji. Last edited by Placid on Fri Sep 30, 2016 10:10 pm, edited 1 time in total. Alberto Aguilera Valadez - known as Juan Gabriel, was found dead at his home in Santa Monica this morning after he performed at the Forum in Inglewood this past Friday. He was due to leave for El Paso for another concert and another 14 more until December. The reports are currently premature. But he may have suffered a massive heart attack. The legendary Mexican Icon was 66. 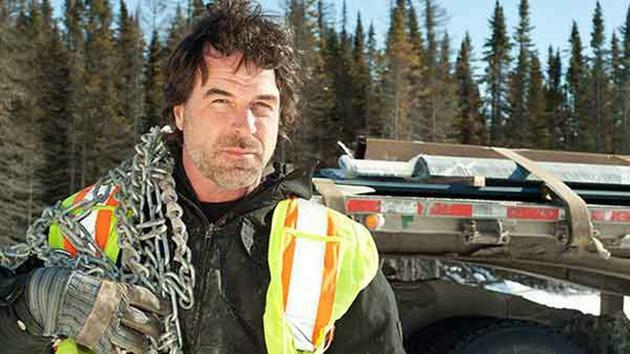 Reality TV star Darrell Ward who starred in the reality series "Ice Road Truckers" was killed in a plane crash after the Cesna 182 stalled causing it to veer off the runway striking trees along the way in Montana. His pilot Mark Melotz was also killed as well. Veteran actor Jon Polito, 65. Well known for films such as "The Big Lebowski", "Miller's Crossing", and "Barton Fink". Jerry Heller (Pictured with Eric "Eazy-E" Wright who also co-founded Ruthless Records) and former manager for N.W.A., succumbed to a heart attack at the hospital. Isabell Dinoire: First ever face-transplant patient has passed away. But her death was long-hidden under tight privacy of the family. Her death occurred on April 22. What was the best day of her life has become the worse. Iranian cyclist Bahman Golbarnezhad has died following a crash in the men's C4/C5 road race at the Rio Paralympics. Another hero of mine gone aged 87. Mr Arnold Palmer. You think guys like Arnie,who you've known about for as long as you can remember and who you've followed your entire life, will live forever, will just always kind of be there and when they go it makes you realise how temporary we all are. For me, when guys like Arnie go, it's a genuine feeling that a tiny little piece of me is no longer. That part of my life is gone forever. If guys like these can't cheat the reaper, then what chance do mere mortals like us have. Last edited by Jezza13 on Mon Sep 26, 2016 1:51 am, edited 2 times in total. Martin Croker, 54 (Animator and Voice of Zorak and Moltar for Space Ghost Coast to Coast). If you're born in the 80s and 90s and watched Cartoons specifically Space Ghost: Coast to Coast. The voice of Zorak and Moltar has passed away. Gabe Rygaard - former star of the canceled reality tv show "Ax Men" was killed in a 3-car pileup this morning at Port Angeles, Washington. The sad part when he was driving, he did not have his seat belt on. Gabe was 45. Carlos Walker known in the hip-hop world as Shawty Lo was killed in a hit and run accident after his Audi struck tree launching him out of his car. The 2nd car involved in the hit and run left the scene. Thaddeus Farrow, 1 of Mia Farrow's adopted sons died unexpectedly after he was found unresponsive in his car. He was taken to a hospital in Connecticut before he was pronounced dead. Bill Nunn: Actor that starred in 4 major Spike Lee's films such as School Daze, Mo' Better Blues, Do the Right Thing, He Got Game and the 1st Spider-Man Trilogy as J Jonah Jameson right-hand man Foswell. Also passing away is Grand Ole Opry legend Jean Shepard. 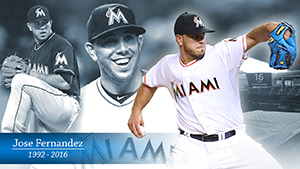 Becoming on anything they want was a task for Jose Fernandez. And he got an American Dream. 1 - defecting from Cuba and becoming a US citizen and 2 - become a Baseball player. But sadly - it only lasted 3 years. The Marlins pitcher was in a boat outing before officials confirmed that he and 2 other people were killed in the accident. Our thoughts and prayers go to his family and to his girlfriend who sadly is expecting their 1st child. The world of "All My Children" are in mourning. Veteran actor Larkin Malloy who was well known in the ABC drama, passed away due to a heart attack. He was 62. The creator of the daytime soap Agnes Nixon who also the creator of "One Life To Live". The Emmy-Award winner and the winner of the Lifetime Achievment Award was 93. Last edited by Placid on Fri Sep 30, 2016 11:27 pm, edited 1 time in total. Reggaeton superstar Wisin and his wife Yomaira are mourning the death of their newborn daughter. Victoria has succumbed to a genetic disorder called Trisomy 13 1 month after her birth. God gives, and God takes away, blessed be the name of the Lord. Princess Victoria, I will see you again in heaven. What immense pain I have, God, please help me. I want to use this moment to thank the millions of people that were praying for our family and our Victoria. Thank you because in all of your gestures and words … we were able to see God each time. My princess just died. UFC and "Ultimate Fighter" Alumni Josh Samman passed away after he was found unresponsive along with his roommate 1 week ago. Samman was in a coma when he died. 1 week ago, he and roommate Troy Kirkingburg were found unresponsive at their home at their Hollywood, Fla. home. Kirkingburg died on the scene. Samman and Troy were both 28. Former Jr. Welterweight champion Aaron Pryor - whose career was careened with a downward spiral by drug use - passed away this past Sunday due to heart disease. The "Cincinatti Hawk" will be well known for his rivalry with the late Alexis Arguello for the 2 bouts along with a controversy of a bottle. During the mid '80s and early '90s, Pryor was ordered to undergo treatment after pleading no contest for possession of drug paraphilia and a smoking pipe. In 1993, Pryor was officially declared drug free and in 1996, he was inducted to the Boxing's Hall of Fame. He also began his career as a spokesperson spreading anti-drug messages. This was the very boxer who would have faced Mexican boxing great - The late Salvador Sanchez. Our hears go out to his family. Pryor was 60. Just 11 days before his 61st birthday. Last edited by Placid on Mon Oct 10, 2016 9:02 am, edited 2 times in total. Bobby Chacon - a 2-time Featherweight and 2-time Super-Featherweight boxing champion who career was marred due to personal problems and tragedies - has died under hospice care due to a brutal fall on September 3rd. He also suffered from Pugilistic Dementia (Boxer's Syndrome). Also passing away is Scottish Boxer Mike Towell after he succumbed to his injuries during a bout in Glasgow, Scotland on September 30th. His opponent Dale Evans knocked him down in the 1st round. Evans would score a TKO. After the bout, Towell was taken to the hospital when they found out he had severe massive bleeding and brain swelling, before he was taken off life support. Prior before the bout, Towell was complaining of headaches (crippling migraines). He leaves a girlfriend Chloe Ross and a 2 year-old son. Our hearts go out to his family. The world of Sit-Coms has lost a family member. Thomas Mikal Ford - (pictured with co-star Tichina Arnold) who was better known as one of Martin Lawrence's fellow cast mates in the '90s hit sit-com "Martin" passed away this afternoon after he suffered a ruptured aneurysm in his abdomen. Ford was admitted at the hospital last week for knee surgery. It was normal when they learned that his health began to deteriorate. Ford slipped into a coma and family members decided to take him off life support. Last edited by Placid on Tue Dec 06, 2016 12:16 am, edited 1 time in total. Gloria Naynor - Author and novelist of "The Women in Brewster Place". She was 66. From heart attack. September 28th. Neville Marriner - British violinist, Conductor, and founder of Academy of St Martin in the Fields. He was 92. October 2nd. Canadian-American folk singer Oscar Brand. He was 96. From oneumonia. September 30th. Patricia Barry - daytime soap and film actress. She was 93. The NFL are in mourning following the most inspirational player that defied the odds and went on with his life. Former Jets defensive end Dennis Byrd who was severely injured in an NFL game in 1992, was killed at the scene when a Ford Explorer driven by a 17-year-old veered off to oncoming lane crashing into Byrd's Hummer H2 in Oklahoma. Byrd never had a chance. The 17-year-old driver and a 12-year-old passenger in the other vehicle are critically injured. Our thought go out to his family and the entire Tulsa Football team. WE'LL TOSS A HANDFUL OF OKLAHOMA SOIL FOR YOU. Also passing away is former NFL linebacker Quentin Groves who suffered a heart attack at his daughter's birthday party in the Caribbean island of Trinidad & Tobago. The former all-SEC selection from Auburn was diagnosed with Wolff-Parkinson-White syndrome in which causes his heart to accelerate. Another loss in the soap TV industry. Anthony Addabbo. He was 56. October 19th. Actor Eddie Applegate from "The Patty Duke Show". He was 81. October 17 due to a long illness. Veteran comedian Kevin Meaney who was known for the 1st TV adaptation of the movie "Uncle Buck". He was 60. Kathryn Adams - 1940s actress. She was 96. Junko Tabei - The petite mountaineer and pioneer who conquered the 7 climbing summits ( Including Mount Everest in 1975 despite encountering an avalanche. She was 77 due to cancer. Jean Gagne known for his in-ring name Frenchy Martin. The Hall-of-Fame superstar and manager. He was 66 due to cancer. Steve Dillon, 54. Famous Comic Artist known for the comics of Judge Dredd, The Punisher and the Preacher. Legendary Chicago DJ Herb Kent - who spanned his career since the age of 18 passes on. He was 88. Vietnam was anti-War activist Tommy Hayden - Jane Fonda's 2nd husband for 17 years. He would be forever linked to the Chicago 7. He was 76. Pete Burns. Lead singer of the group Dead or Alive. He was 57. Cardiac arrest was the cause of death. Kevin Curran who spent 15 years on "The Simpsons" dies after a long illness. He was 59. 3-time Laurence Olivier Award winning theater director Howard Davies after losing his battle to cancer. He was 71. Trailblazing entertainment agent Norman Brokaw. He was 89. Comedian Dave Broadfoot, longtime member of Royal Canadian Air Farce, dies at 90. 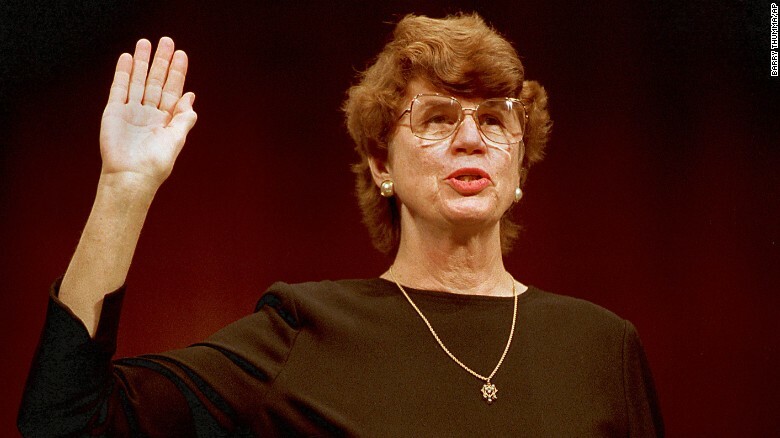 Former US Attorney General Janet Reno and 1st woman to hold the position passed away due to complications of Parkinson's Disease. Leonard Cohen, the hugely influential singer and songwriter whose work spanned five decades, died at the age of 82. Most notable actor Robert Vaughn who was well known as Agent Napoleon Solo in '60s action series "The Man from U.N.C.L.E. ", has passed on. The veteran actor died from complications of acute leukemia. Other credits include the '70s hit series "The Protectors" and in the '80s in the final season of "The "A" Team". Films include "The Magnificent Seven", Delta Force. And the voice of the evil computer voice in the horror flick "The Demon Seed" who was uncredited. Vaughn was 83 and 12 days short of his 84th. Canadian golfer Dawn Coe-Jones dies after battle with cancer at 56. November 11. '70s Rock 'n Roll star Leon Russell at 74. He recently had bypass surgery in July. November 13. Singer Sharon Jones loses her battle to pancreatic cancer. She was 60. Actress Lisa Lynn Masters who was found hanged in a hotel room in Lima Peru. She was 52. And George Ortiz: reality star and hairdresser of the reality series "Project Runway". Also in an apparent suicide. He was 45. 1 of the greatest television moms passed. Florence Henderson who has become the greatest TV households as the favorite mom as Carol Brady in the hit series "The Brady Bunch" succumbs to complications of heart failure after she was admitted to a hospital only to lose her battle in Thanksgiving night. THANK YOU FOR THE MEMORIES MY DEAR LOVELY LADY!!!!!!! Ron Glass passed away yesterday. Many will know him as Shepard Book from Firefly/Serenity. Well known as 1 of the detectives in the ABC sitcom "Barney Miller". Pratician veteran actor Fritz Weaver. He was 90. 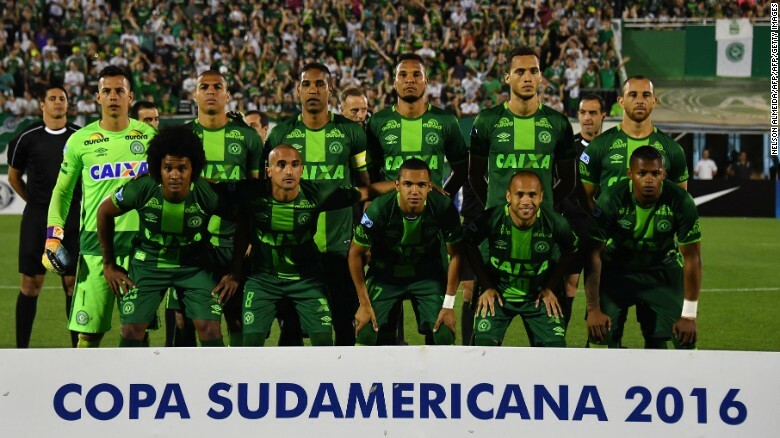 A Brazilian soccer team that became the greatest Cinderella story in the history of Brazilian Professional soccer were aboard in a plane that crashed in the outskirts of Medellin, Colombia after departing Viru Viru, Bolivia. And just last week in the South America Cup, Brazilian team Chapecoense defeated Argentinian club San Lorenzo in the semifinals. And they were scheduled to face off Colombian team Atletico Nacional in the 1 of 2 legs in the final right before the tragic accident. There were 81 people on board the Bolivian airline La Mia flight # LMI-CP2933 (72 passengers and 9 crew members). The world of Chess is now in mourning following the death of 20-year-old Chess Grand Master Yuri Eliseev in Moscow. Eliseev second hobby was urban parkour where young people go to the extreme by leaping into buildings, roofs, walls, etc. Eliseev was climbing a building in which he reached the 12th floor balcony. Only to lose his grip plummeting down to his death. 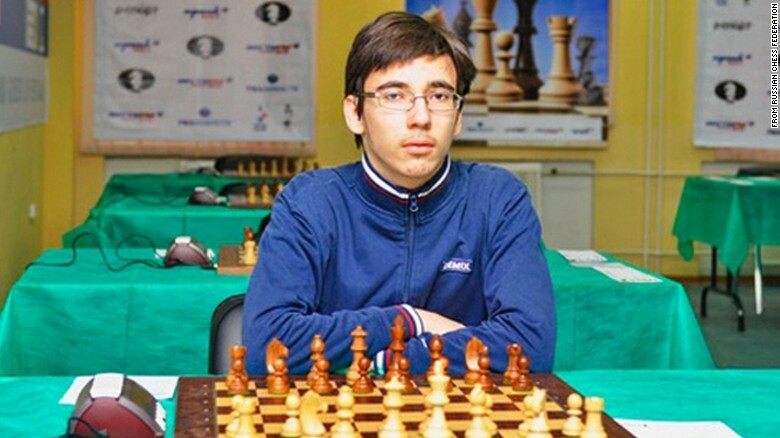 The Chess prodigy became the 2012 World Junior Champion and was named Grand Master in 2013. Our hearts go out to a master. Actor Keo Woolford who took the recurring role of Detective Chang in the re-make the hit series Hawaii Five-0, has succumbed due to a stroke that he suffered 3 days earlier in a Oahu hospital. He was 49. Long time Elvis Presley closest friend, fellow serviceman and professional aide Joe Esposito who passed away due to natural causes and was a victim of Dementia. He was 1 of his best men in his wedding with Priscilla and a pallbearer in his funeral. He became a road manager representing the Bee Gees, Michael Jackson, and John Denver. Michael James Delligatti: A Mc Donald's franchisee who later became the king of his creation: The Big Mac, has passed on. He was 98. Grant Tinker: Former Chairman and CEO of NBC. Tinker was also the co-founder with ex-wife Mary Tyler Moore of MTM Enterprises that also provided TV shows. He was 90. Former Jets and Chiefs running back Joe McKnight was shot and killed during a road rage dispute in his hometown, Terrytown - 5 miles SE of New Orleans. He was 34. Andrew Sachs: well known from "Fawlty Towers" fame as bumbling waiter Manuel. Dementia complications. He was 86. Don Calfa: '70s TV actor and character actor in the big screen with credits such as "Return of the Living Dead" as an embalmer, and a hitman in the 1st "Weekend At Bernies". Calfa was 76. Veteran actress Alice Drummond. She was 88. Van Williams: '60s icon who donned the famed long coat, hat and mask in the TV series "The Green Hornet", has passed away due to heart failure. Right after his days as an actor,he became a reserve sheriff and volunteer firefighter in the '70s. Actress Margaret Whitton, whose credits include 9 1/2 Weeks, Secret To My Success, Iron Weed, Man Without a Face and her famed character- the former exotic dancer-turned-Cleveland Indians Rachel Phelps - has passed due to cancer. Greg Lake has snuffed it. Thats Emerson and Lake gone this year - only Palmer left.